We are Manufacturer, Supplier & Exporter of Pellet Counter Flow Coolers and our setup is situated in Miraj, Sangli, Maharashtra, India. 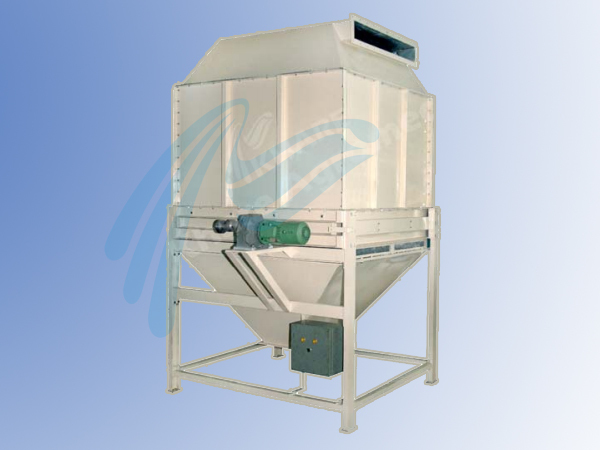 The Khare Agromech Counter Flow Cooler ( KACF ) is very effective for cooling the pellets coming out from pellet mill which are required to be cooled near room temperature and to remove excess moisture and heat so as to improve the shelf life. The counter flow cooling principle is adopted in this cooler. 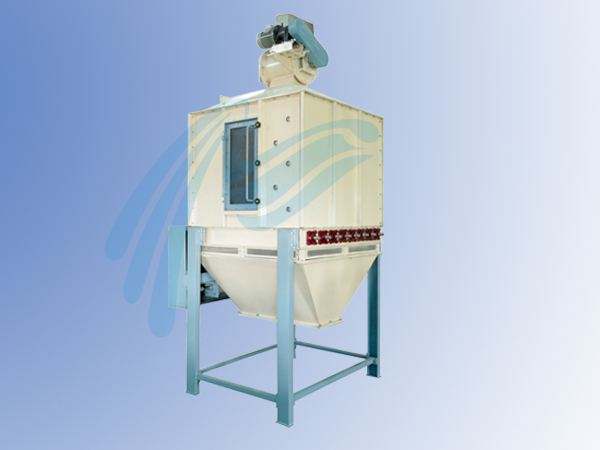 • First in first out principle ensures complete cooling of the pellets to improve working effencies a unique pellet distributes the pellets evenly in cooling chamber. • Level sensor are provided with timer to control level of pellets inside the cooling chamber. • Unique sliding valve discharger ensures 100% cleanout. • Side wall and upper tapper cane are in S.S. 304 and reinforced with M.S. pipes, hard glass inspection door.